With 4K Stogram, you can automatically download Instagram photos and videos. This post is brought to you by 4K Stogram. For many of us, Instagram is the primary place to get our daily fix of fresh images and videos. We’ll spend hours browsing the feeds of friends and family, and our favorite artists, public figures or journalists. But all that addicting content — including what you post yourself — stays on Instagram’s servers, where it’s a bit of a hassle to find and only accessible by logging in. 4K Stogram is an Instagram viewer that offers a way to get behind the locked box of Instagram’s app. 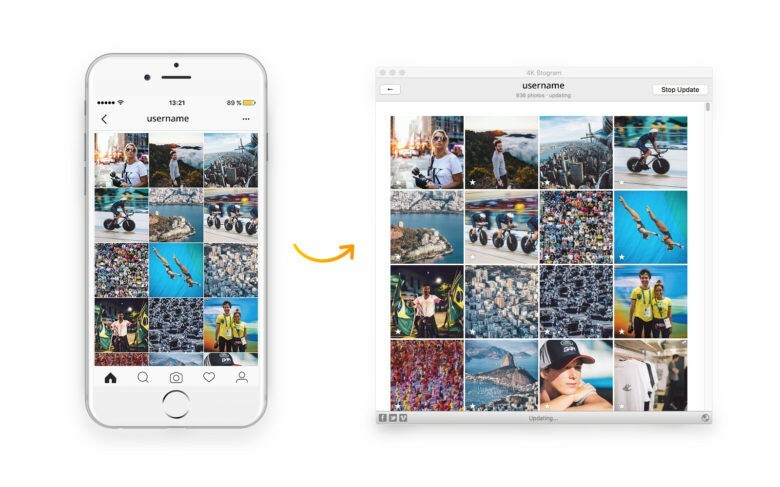 The program gives you options to export, download and back up your Instagram photos and videos — or anybody else’s. Available for Mac, PC or Linux, the software affords you the option to download and save content from any account. The way it works really couldn’t be simpler. From a straightforward search window, you can find and download based on any Instagram user name, hashtag or location. From there, you’ll get the option to subscribe to that particular slice of Instagram content. 4K Stogram will then automatically create a folder for the subscribed account and begin downloading the entire feed. Within minutes (for the average-size feed), you’ll have all the photos and videos backed up as a series of JPEGs and MP4s. For accessing and backing up any private accounts you follow, there’s the option to log in with your Instagram credentials. This also represents a new way of following accounts. Rather than staying on top of your main feed or visiting the profiles of a given Instagrammer to see what’s new, 4K Stogram will automatically download the new posts from your favorite accounts so you can view them right from your computer at any time. That’s about it — there are no toolbars, adware or malware to clutter up the experience. And maybe the best part of all: It’s free. So if you’re looking to keep your or your favorite Instagram posts and posters close and accessible, we recommend you take 4K Stogram for a spin.